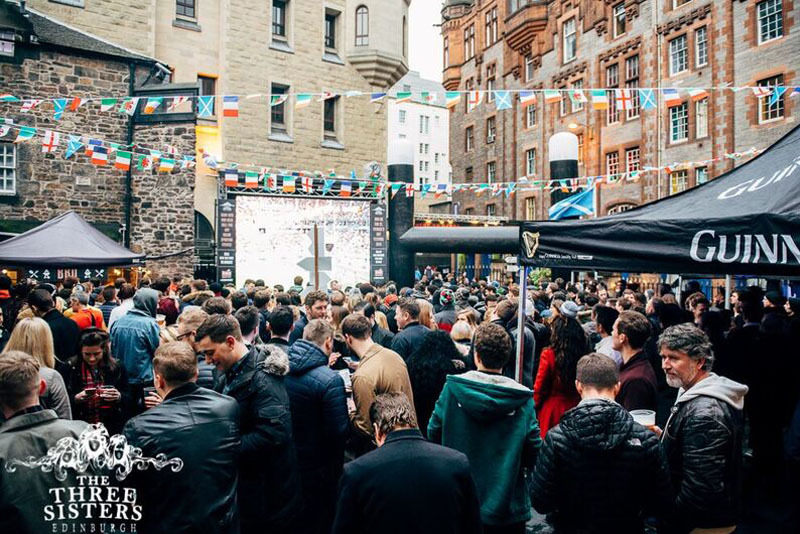 It’s one of the biggest rugby tournaments in the world and we’ve compiled a list of some of the few places to have some brekkie, a beer and sit back and enjoy the excitement of the British Irish Lions Tour of New Zealand. Enjoy the games with other supporters in an atmosphere like no other. With a cinema setting, breakfast and booze they will have you sorted. The newly installed courtyard 225” LED will be screening the games, plus additional x2 projectors and 14 HD TVs meaning the end of struggling to get a decent view of the action. Pick up your wristbands from the bar today enabling you to claim a full breakfast for a fiver! Open from 7am and licenced from 9am. 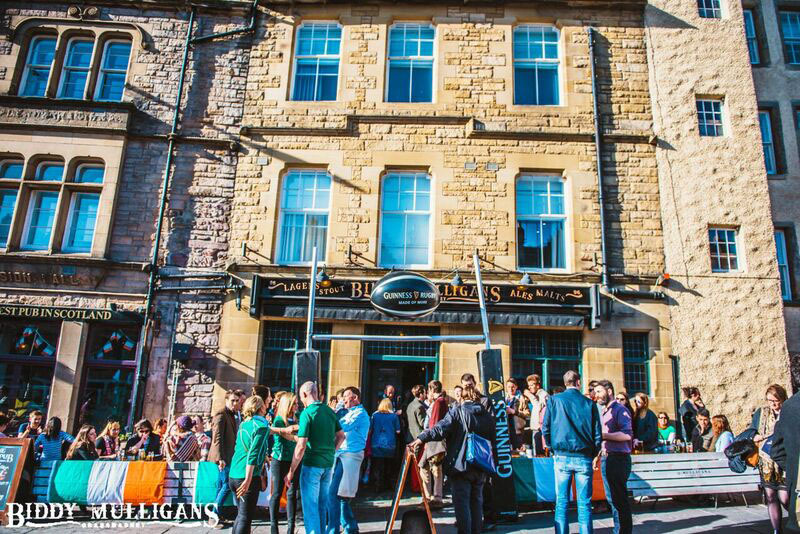 Situated in the heart of the historic Grassmarket, Biddy Mulligan’s has become world renowned for its authentic Irish atmosphere and the craic is always 90! All of the Lions action will be shown on the 2 projector & HD plasma screens so you’re guaranteed a good spot to see the games. Biddy’s has a huge range of draught and craft beers which you will be able to take full advantage of with their 8am licence. Need some soakage too? Check out their full breakfast menu which is available until 12. 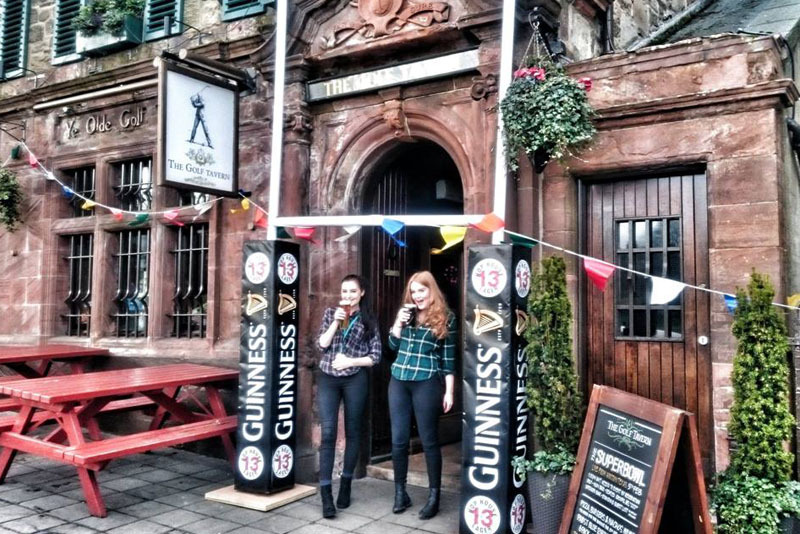 When you step foot into the historic Golf Tavern, you are stepping into a little piece of Scottish history, established back in 1456 and nestled on the edge of the Bruntsfield Links. For this special occasion the Golf Tavern will be opening its doors at 8am to show full coverage of the Lions games. The Golf Tavern has a Lions Breakfast available which includes a full Scottish, orange juice and tea/coffee for £10.95. They are also licenced from 8am. Following the games you can enjoy a round of golf on the Bruntsfield links. Hire your clubs from the Golf for only £5, that’s your sporting weekend sorted! !